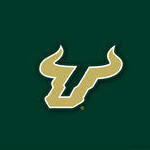 It comes down to that CCS is not committed to USF...if he was we'd be a conference champion by now. I'm amazed this gem slipped through the cracks .... leads me to believe more and more that BT's posting that night was just some high speed trolling. I thought I won that? You are the Lifetime Achievement Award winner ..... Poster children rotate on a short term basis. Are you saying there is something wrong with that? Guess its time to change my ways! The jacket itself is actually awarded posthumously.